Cebu offers a very wide array of things and places that offers pleasurable experience of a lifetime. From beaches to historical landmarks to the busy lights of the City, you can choose where and how you’ll spend your days at the beautiful Cebu. Heading to the Queen City of the South? 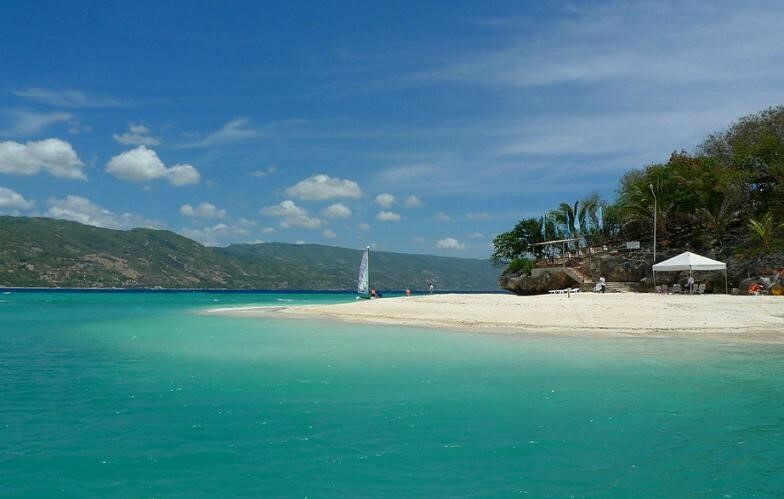 Check these most visited tourist’s spots in Cebu that you’ll surely captivate your heart. Magellan’s Cross – Cebu was considered to be the first and the oldest city in the country and was even recognized as the first capital of the Philippines. These recognitions were brought by historical significance that this city province had contributed. 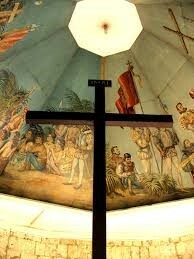 Accordingly, Cebu was the first island that the Spaniard had landed and conquered. As a declaration and sign to this, Magellan a Portuguese who led the explorer’s from Spain planted the cross in the port of Cebu as they arrived. Now, it is housed beside the Basilica Minore del Santo Nino Church. 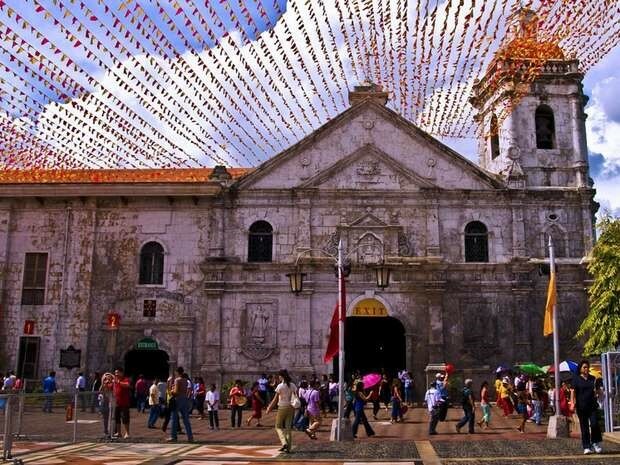 Basillica Minore Del Santo Nino – In connection with the arrival of the Spaniards in Cebu, Magellan had brought with them a figure of the Child Jesus in which he had given to Raja Humabon as a gift. This is because of the Raja’s well acceptance to them and as they had embraced Catholic Church. Raja Humabon and his wife together with his people was the first ever Catholics who were baptized in the country. Founded in the year 1565, it is coined as the oldest church in the country, where the image of the Child Jesus is placed and worshipped. Cebu especially the Basilica has been the centre of the devotion to the Child Jesus. Kawasan Falls – If you want to experience nature’s beauty at hand and just not so far from the city, Cebu can surely give that to you. With its magnificent Kawasan Falls. 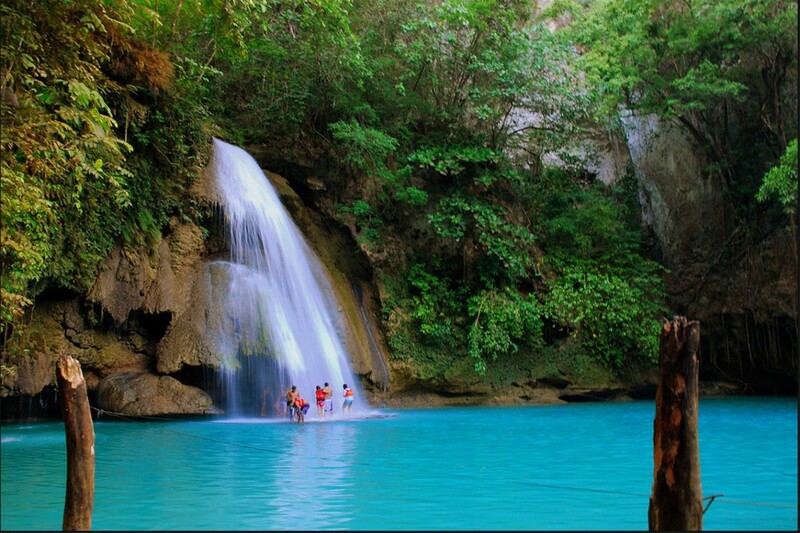 Nurtured in Badian Cebu, Kawasan Falls caters a peaceful and natural ambiance to its tourists. It has many waterfalls scattered through the area that everyone can enjoy and experience its waters. ANohter gift of nature that human should preserve and celebrate its beauty. 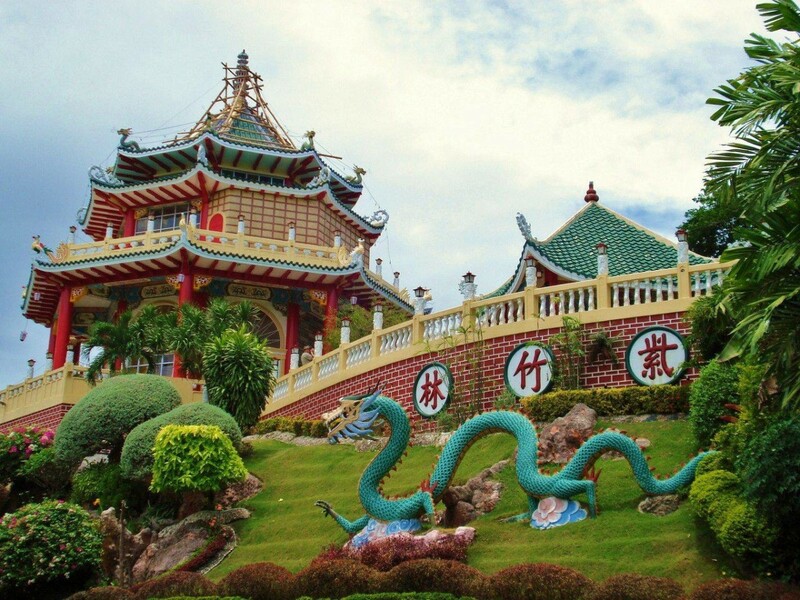 Taoist Temple – It was built in 1972, located in Beverly Hills Subdivision in Cebu City. It was built by the city’s Chinese community. It is elevated at about 300 meters from the sea level; it is towering, multitier, colourful attraction. It is open to worshipers and non-worshipers that is why many people visit the temple to witness another amazing culture and religion. Bantayan Island – This is yet another paradise that you can experience in the Philippines. If you want to experience the heat of the sun, to touch and walk by the white sands, feel the breeze of the ocean and enjoy the crystal clear waters, Bantayan Island is the rightful place to visit. There are other amazing and worth visiting places in the Queen City of the South. The best time you can visit the place is during the month of January to June where most of the festivals are held and the sun is shining brightly to let you enjoy its beaches. Make sure to book a hotel near the places you want to visit in Cebu so that you’ll have your easiest way in and out.